The success of an email campaign can be determined by a variety of key performance indicators (KPIs): open ratio, click through ratio, conversion ratio, sales, unsubscribe ratio, etc. Email marketing success truly depends on your business objectives as well as overall customer engagement. Email programs that grow stale and stagnant are not going to entice and engage your most valuable assets - your email subscribers. 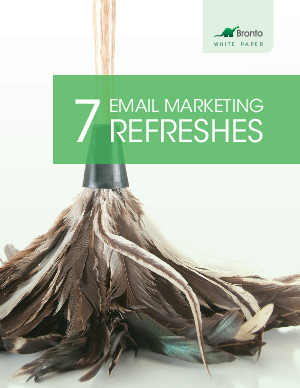 Savvy email marketers are always pushing to evolve their campaigns and wisely incorporate the following seven proven email strategies. By doing so, they garner the strongest KPIs by capturing their subscribers' attention time and time again.